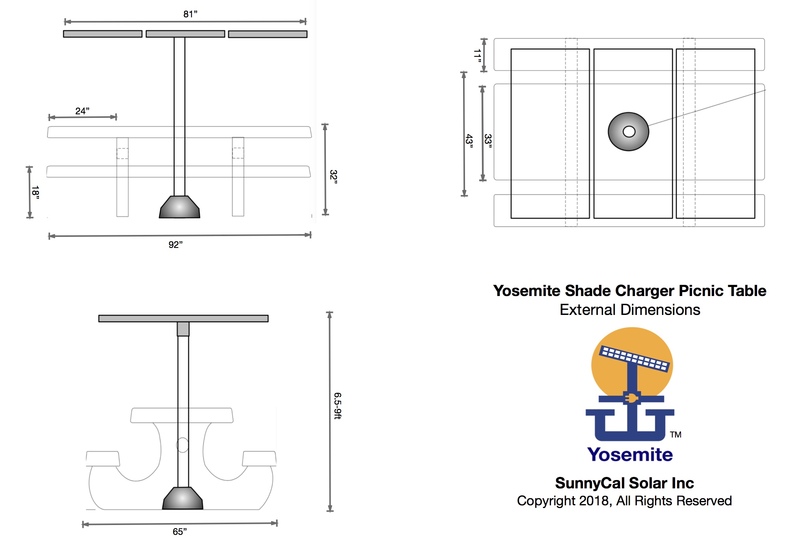 ---Remote Power---ShadeCharger equipped concrete picnic tables for outdoor spaces. Enjoy the outdoors with no strings attached. Now you can charge your camera or phone while out in the wild. No need too lug extra batteries on your next trip. Robust enough for rugged outdoor sites. 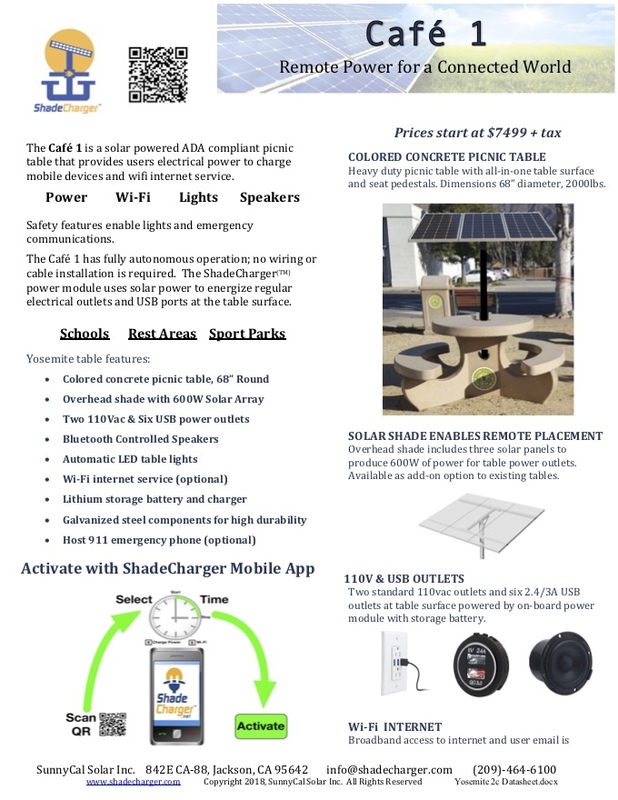 Ideal for outdoor sports & recreation sites. Charge electric scooter in active use area. 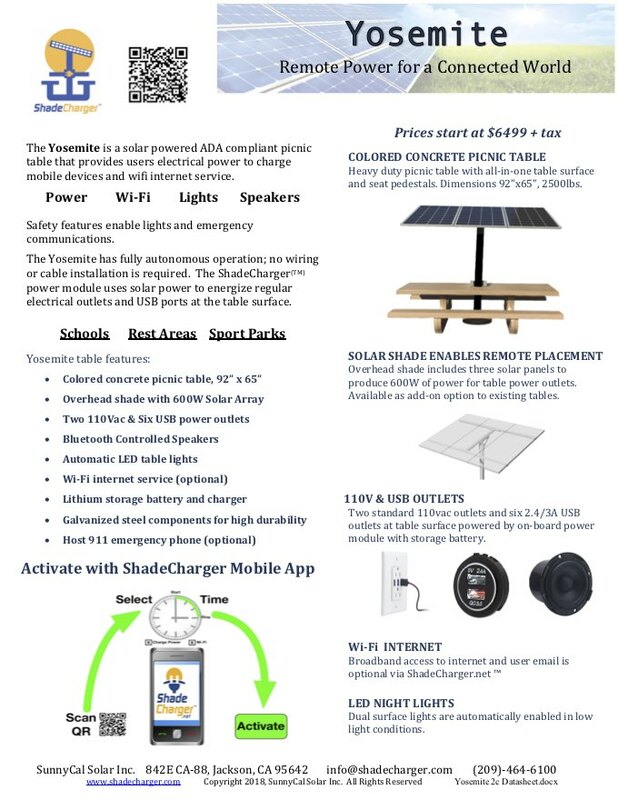 Solar provides power for USB charging of mobile devices. 110V outlets are available at table surface to power equipment like computers, audio sound system and TV's. Ideal for outdoor sports and recreation sites. 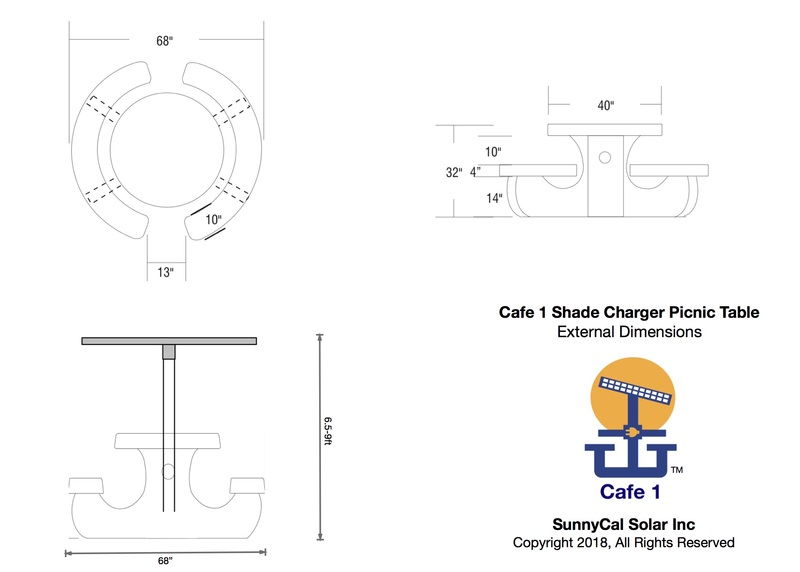 Can support multiple simultaneous charging of several mobile devices. Optional features include: Cellular data modem, WiFi router, Host controlled ShadeCharge.net internet access package.